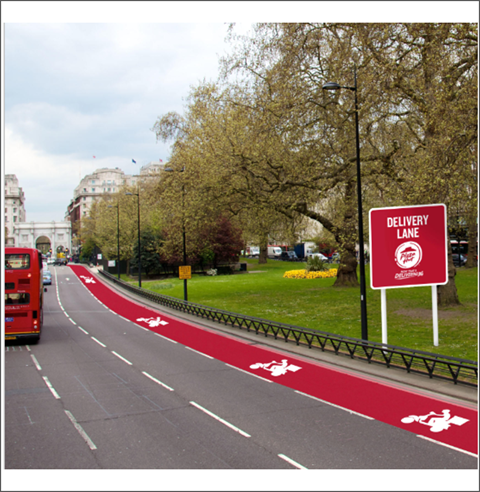 Pizza Hut UK teased its customers this April Fool's day, announcing that it is now the official sponsor of the new ‘Delivery Only’ traffic lane which launches in Manchester this year. In a daring ‘alternative’ April Fool’s stunt, Burger King USA tricked some of its loyal customers into trying an Impossible Burger without telling them it wasn’t the Whopper they know and love. Leon introduced its Full English Smoothie on its twitter feed made with sausage and avocado as decorations. McDonald’s created new (fake) “shake sauce” packets, portions of milkshakes for dipping nuggets, fries, and apple pies. 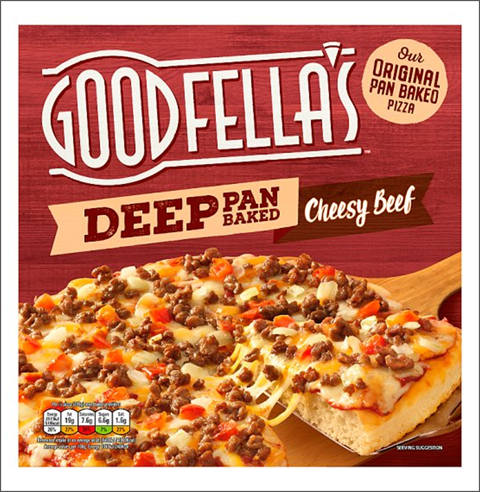 Retail pizza brand Goodfella’s is returning to television screens with a new marketing campaign and brand refresh under the tagline ‘Made with respect’. As part of a £4.2m campaign, the 30-second advert will be the highest TV spend of any frozen pizza brand in the past five years. The activity will coincide with the launch of a new look pack design and improved recipe across the Goodfella’s range. Some new interesting offerings in their range include a Deep Pan Baked Cheesy Beef Pizza with a burger sauce and a new Spicy Vegetable Salsa Pizza. 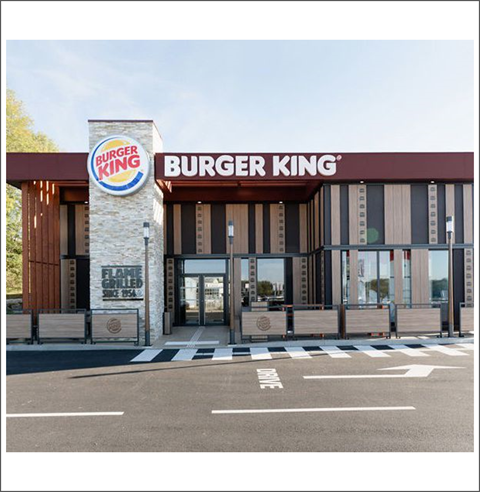 This year France will become Burger King’s second-largest market outside the USA. The burger chain is opening its 300th outlet in partnership with Autogrill since it re-entered the market in 2012. It’s Bacon Lovers and now Cheese Lovers campaigns have helped it resonate with French consumers, bringing its turnover to almost €1bn. We also note premium burger brand Five Guys accelerating its growth. A little less than three years after its launch in the French market, it has just opened its 12th unit and plans to ramp up its presence with 12 new openings a year. 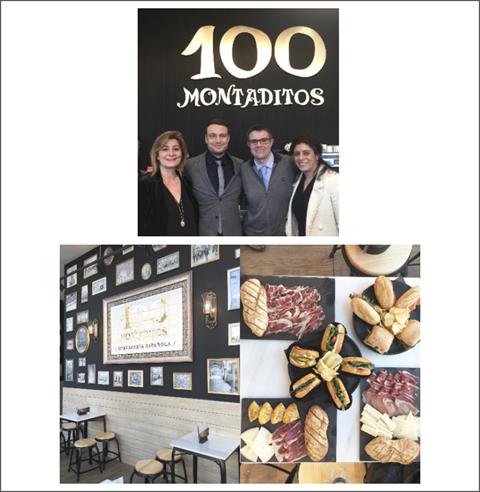 Established in 2000 in Madrid, Spanish chain 100 Montaditos, part of the Restalia Group, has opened its first outlet in France (Lyon). It has 780 stores worldwide and plans to add 60 French stores by 2023. The unique concept takes consumers’ love of sandwiches and serves them in a tapas style, specialising in open sandwiches or topped sweet and savoury rolls. 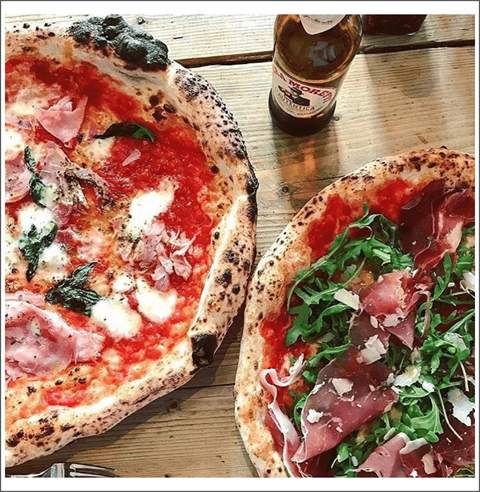 It offers as many as 100 different toppings, and with prices starting from as little as 1 euro, it’s a good fit for today’s snacking generation. 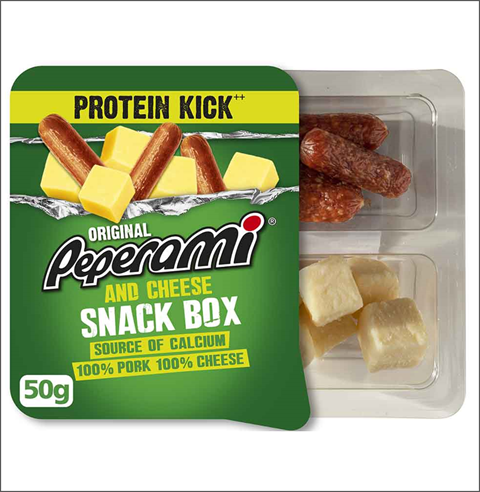 Jack Links-owned brand Peperami (£63mn, Nielsen 2018) has added a chilled Peperami and Cheese Snack Box to its UK meat snack portfolio of jerky, sausages, and steak bites. Meat snacks are a popular alternative to sugar treats as an energy boost for people on-the-go - according to Peperami, almost half of parents believe their children need more protein in their diet. This new addition offers 25.4g of protein per 100g. The global meat snack market is expected to register a CAGR of 9% during 2018 to 2023. New packaging and exotic flavours such as jalapeno and teriyaki are also widening meat snacks’ appeal to Millennials. With Spring well and truly under way, Leon has released its new Spring menu, drawing inspiration from Asia and the Caribbean. New dishes in the range include a Caribbean vegan plantain curry and a home-style Thai curry. The Thai curry is made with British chicken thigh, aubergine, baby sweetcorn and bamboo shoots. 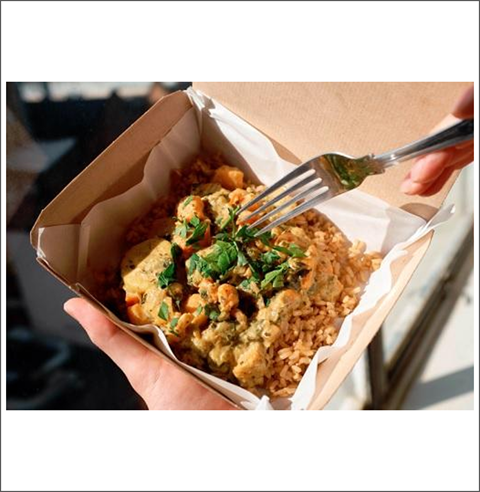 Also inspired by Thai cuisine, Japanese FTG chain Wasabi has introduced a new Thai Green Chicken Curry Bento which features Thai Chicken, green curry sauce, and a long list of fresh colourful ingredients such as red pepper basil, coriander, carrot, cabbage, kale and edamame. American baseball season has begun and while snacks are important; fans don’t typically go to stadiums for the food. 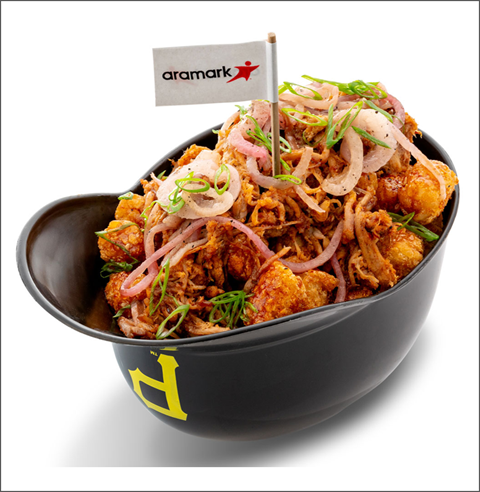 However, in what is probably a Millennial side-effect, ball parks are upping their food game. Menu newcomers include the Bases Loaded Dog - foot-long hot dog, cheese fondue topped with bacon bits and onions – and the Glazed Donut burger with cheese, bacon, filled with spicy cherry pepper jam. The Smoked Burnt Ends Topped Tots come with queso blanco, BBQ sauce, onions, smoked pork burnt ends, and pickles. Meanwhile, head to the Dodgers Stadium for the Dodger Sausage, an al pastor-seasoned sausage stuffed with pineapple. 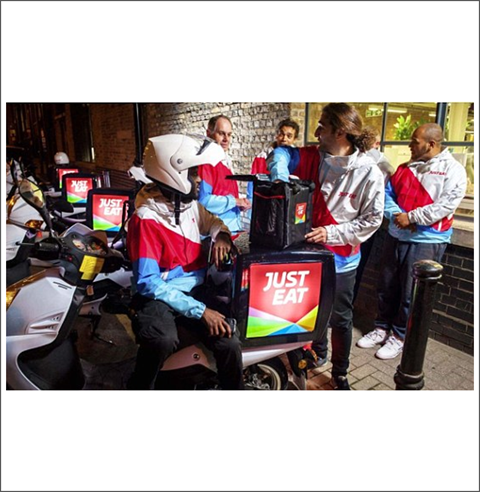 Just Eat Group is holding its ground against rivals Deliveroo and Uber Eats in the competitive food delivery war. 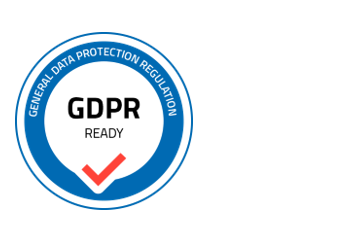 It is targeting sales of £1billion in 2019, after last year's numbers beat expectations. The group achieved nearly £102mn profits, compared with a £76million loss the year before. UK sales grew by 27% last year, boosted by the Hungryhouse acquisition. It has invested £51mn to help it expand its reach to restaurants that cannot do its own deliveries using its new, hybrid service - in-house couriers. Australia, French and Spanish markets have performed less well for the company. Here are the articles which received the most attention from you, the readers, throughout last month.